Each week we will post available items that you may choose to add to your share. You will have the opportunity to add these to your order, and can pay for them online, or when you do your weekly pick up. You may also wish to make changes to your share when you sign up initially. For instance, perhaps you are ordering the vegetarian share but do not eat bread. Please make us aware of these changes when you sign up, and we will fill your order each week with produce items of equal value to the item you cannot use. We have had some interest in shares for B&B owners or large families. Please let me know if you would like pricing info on a larger share and I will put something together to meet your needs! 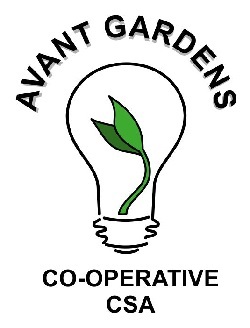 If you would like to join Avant Gardens, but are unable to pay for a share up front, other payment options are available. Please contact us for more information.